The Andean Medical Mission is a UK Charity working to eliminate blindness in Bolivia, South America. Started in 2011 the Mission has been working every year in Itenez in the Bolivian Amazon where the medical teams have screened over 1,800 patients, providing sight saving surgery to more than 400 people and prescription glasses to school children free of charge. 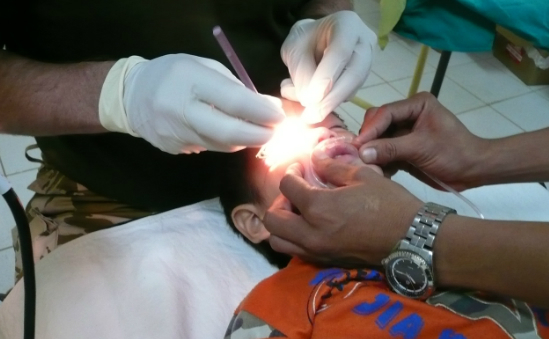 The Andean Medical Mission is the national award winner of the UK Association of Optometrists Charity initiative of 2014. Why Bolivia ? According to the World Health Organisation, Bolivia is the poorest nation in South America and citizens who live in rural areas are disproportionately affected by poverty. Forty-three percent of the population live below the international poverty line and twenty three percent live below the international extreme poverty line. Living anywhere as a blind person is difficult. However it is disproportionally harsh in the Amazon. With the constant dangers of insect and animal bites, managing swamps and rivers and the jungle environment make living here as a blind or partially sighted person, very hard indeed. 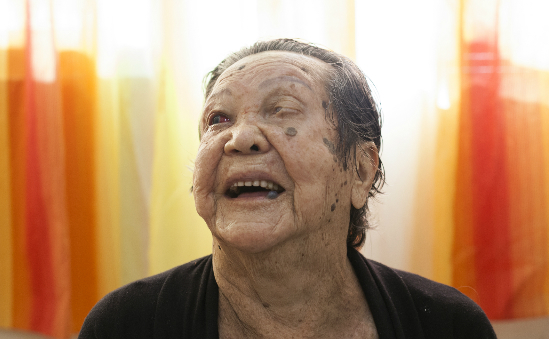 Yet according to the World health Organisation as much as 50 – 80% of blindness in over 50s is preventable with safe, established surgical and medical procedures which the Andean Medical Mission can carry out. Building Eye Care Services for the Amazon The Andean Medical Mission eye care model is about building sustainable eye care services. This involves returning to each village year after year. Firstly this makes us accountable as we have to account for the work we did in the previous year at each new visit. Secondly it allows us to plan surgery for the right time in the future. Not all surgery is urgent and we clear the bilaterally blind cases first and treat those at risk of immediate blindness. For some cases, that can be deferred until the following year, knowing that we will return means that we can choose the safest option for the patient by timing the surgery correctly. 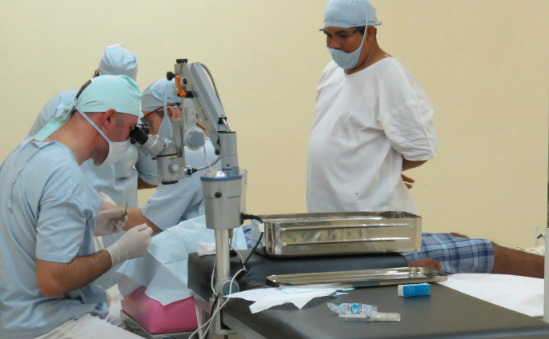 Currently the Andean Medical Mission is the only provider of eye care services for the people of Itenez. Please help us to continue to provide our services each year and be a part of "Our vision - their Vision"